Today it helps people build entitlement to the state pension and other state benefits including the maternity allowance and incapacity benefit. Although it is not a tax there is scope for NI planning especially for owner-directors. There are different classes of NI which vary according to role (employer, employee or self-employed), earnings and whether the contributions are mandatory or voluntary. Employees over the age of 16 pay class 1 national insurance contributions (NICs) at 12% on earnings above £155 a week and 2% on earnings of above £827 week. The maximum contribution for 2016/17 is £4,197.70 plus 2% of earnings over £43,000 per annum. Individuals who have reached state pension age do not have to pay class 1 NICs. Class 1 NICs for employees are calculated on a weekly or monthly basis and are deducted through PAYE. Although directors are also classed as employees their NICs are based on annual earnings rather than earnings for each pay period. Unlike income tax, an individual cannot reclaim NICs if their earnings fall during a tax year. Employees can make class 3 voluntary contributions if they want to fill in any gaps in their national insurance record. Among the most common reasons for doing this is to increase entitlement to the state pension. Class 3 voluntary NICs are £14.10 a week for the 2016/17 tax year. In addition there are class 3A voluntary NICs which allow certain people who reached state pension age before 5 April 2016 to purchase additional state pension. We can advise on whether it is worthwhile making voluntary NICs. NI rates for self-employed people depend on how much profit they make. Self-employed individuals who have reached state pension age do not have to pay class 4 NICs. Most self-employed people pay their NICs through self-assessment. Payments on account in January and July will also include advance class 4 contributions. The government has announced that class 2 NICs will be abolished from April 2018. At the same time class 4 will be reformed so that self-employed people can still build entitlement to state benefits. class 3 contributions count towards the state pension and bereavement benefits. Employers pay class 1 NICs at 13.8% on most employee earnings above £156 a week. Employer NICs are not due for employees under 21 and apprentices under 25 on earnings up to £827 per week. Employers continue to pay class 1 NICs when employees reach state pension age. Employers can deduct and pay NICs on behalf of their employees and pay their own contributions using payroll software. Class 1A NICs of 13.8% are due on benefits in kind. These are reported annually through the P11D form. 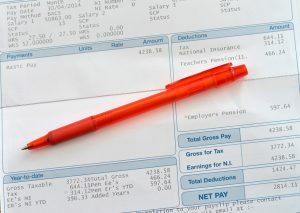 Employers must pay these NICs to HMRC by 22 July each year (or 19 July if paying by post). This procedure is set to change over the coming years as the transition to payrolling of benefits and expenses takes place. People who work abroad may not have to pay NICs, but this will depend on where they work and how long they are abroad. Those working for an employer in the European Economic Area or Switzerland will usually pay social security in the country they work in, rather than the UK. This may give entitlement to benefits in the country of work but will result in gaps on a UK NIC record. In particular, this could affect a person’s eligibility to receive the state pension. People who are sent to work overseas by their employer for up to 2 years may be able to continue paying NI in the UK. The rules are broadly the same for self-employed people. The rules for working outside the European Economic Area are more complicated. We can advise if this affects you. Someone from a country in the European Economic Area who works in the UK doesn’t have to pay NICs if they have a certificate that states that they are paying NI in their home country. This area of law may change as part of the UK’s exit from the EU. Individuals who have more than 1 job or earn income from self-employment and employment need to make sure they don’t pay more NI than they have to. how much tax and NI was paid in the tax year (this information will be on form P60). There’s no time limit for claiming if the reason is more than 1 job. Otherwise, there is a 6-year limit. Most employers can claim £3,000 off their NI bill each year using the employment allowance. Employers can claim the allowance through payroll software at any time during the tax year. Companies where the director is the only paid employee are not eligible for this allowance. The combination of employee and employer NICs means that a shareholder-director pays NI of 25.8% (employee NICs of 12% and employer NICs of 13.8%). paying dividends instead of bonuses to owner-directors (this strategy requires careful tax consideration in view of the taxation of dividends subsequent to 6 April 2016). Ask us your national insurance questions.